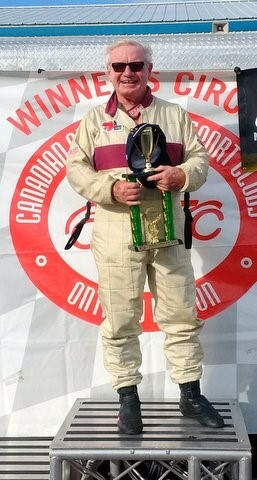 Bob Long is a legend in Canadian racing circles having raced almost continuously since the 1950s! 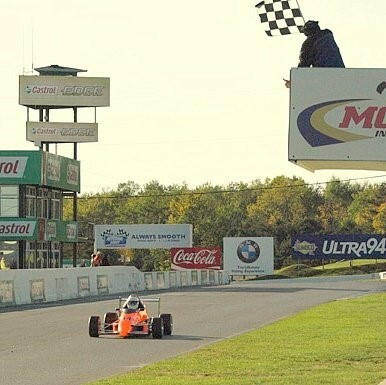 Now, in VARAC circles, a few of our guys started racing in the fifties but I would bet none of them has done lately what Bob has, which is to turn in a lap time of 1:25.60, he did this in 2016 at the age of 79! 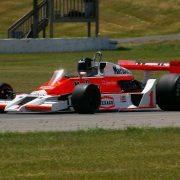 He has raced everything from a Mini, Camaro, Mustang, MGAs, Formula Fords, Xpits, (pronounced “speets” btw) plus a Mallock with Rotary Mazda engine. I checked an old (Dec, 1967) Track and Traffic of mine and found an article quoting Bob Long as saying F4 is “for someone who wants to race competitively without spending a fortune”. There was at the time a price limit on the cars set by the FIA, which would bring the cost after shipping, duty and taxes to about $2,300. (In case you are wondering the wonders of the Internet tell me that would be about $17,000 today.) In the article Bob said that he had always been concerned about the cost of racing discouraging many novices and had been looking for a class that wouldn’t require a lot of money to be competitive. He went to Europe in January of 1967 and visited a number of manufacturers. He drove a Suzuki powered 250cc car around the Castle Combe race track and decided to import Johnny Walker Racing Ltd machines through his firm A and E Motors. 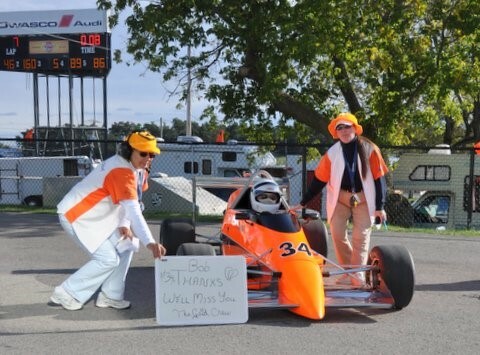 Chris Haley is a long time friend/crew/racer with Bob and he very kindly contributed the following notes.
. He went over to look at them and test. 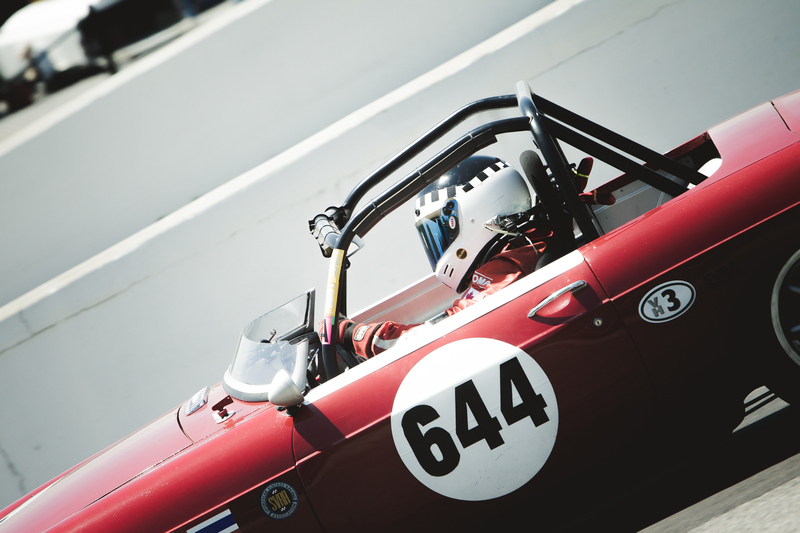 He ended up ordering one for himself and one for his friend Jim Johnston, and so the first Formula Fours came to Canada. They started out with 250cc Suzuki Hustler motors, and as I remember, over the years moved to a Honda 305cc, a 650cc Triumph Bonneville (this is about the time I got involved in about 1970), 750cc Honda 4, 750cc Suzuki 2 stroke (water buffalo), 750 Kawasaki and different versions of the Suzuki 750cc GSXR. 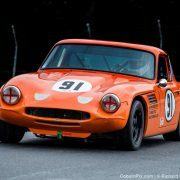 The Three Quarter Litre Association (http://www.formulafour.com/history.htm) came to be around 1970 and since that time Bob has won the association championship at least 14 times, the CASC F4 championship at least 5 times, CASC Regional Overall Points Championship twice and the LASC (London Automobile Sport Club) speed championship countless times! Checkout VARAC member Doug Elcomb and his Canada Class Adventures to Australia!